Marketing. Blah, blah, blah. It’s what everyone talks about, saying you need a “great marketing strategy” if you want your business to succeed. However, you feel like you are doing good to share your latest blog post on Facebook – and on a good day, Twitter as well. Building a repeatable marketing system will streamline your efforts and hone your campaigns to a razor-sharp edge. While it will naturally still require work, you won’t be sapping all of your energy each time because you will already have your marketing infrastructure in place. All you have to do is fill in the blanks, make a few adjustments, and let ‘er rip. The E Myth author, Michael Gerber, said that in order for a business to survive it must have a marketing system that is scalable, profitable, predictable, and repeatable. So where do you start? The yellow brick road begins right here. Get a clear picture of your marketing landscape. Before you do anything, you need to get the lay of the land. Where are you starting? 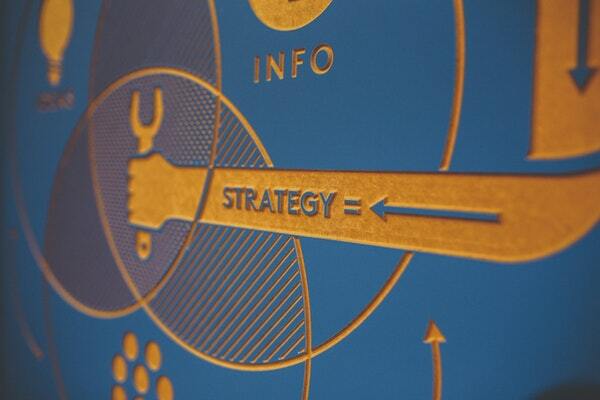 What does your current marketing strategy look like? What does your business look like? The you need to decide where you want to go. Where do you want your business to be in a year? Five years? Ten? Next, set some goals or benchmarks to help you get from point A to point B – and C and D and E.
Keep what’s working and build from that. Take a good look at what you’re currently doing. How’s it working out for you? If you don’t know, that’s a problem. Think of marketing like parenting a toddler. Everything can be going smoothly, but in an instant it can all go south. Turn your back and the next thing you know Junior is trying to flush your decorative hand towels down the toilet. Vigilance is a vital part of any marketing strategy. Identify what’s working and you can build from there. Reacquaint yourself with your target audience. You likely defined your target audience when you started your business. That’s a good thing, but you aren’t supposed to stay there. And face it, the best content strategy in the world is useless if it isn’t aimed at the people you are trying to attract. There are so many variables that go into defining your target customer. Business growth, new products or services, growth and decline of generational groups, the political landscape, and so much more can cause your target audience to shift. Get back to basics and get to know your target audience again. You may find that new opportunities open up for you and you can grow that target in other directions. Prepare your site for the traffic your marketing will generate. Your marketing system is chugging along, doing its job attracting new customers and generating traffic – but where is all that shiny new traffic going to land? Having your marketing squared away is all well and good, but if your site isn’t prepared to receive the product of all that hard work you are going to miss out on some valuable traffic. In other words, your conversions are going to tank. Optimize your site so that it is fully optimized and ready to convert. This should include being mobile friendly. Don’t stop there, though. Your site, like your business, is not intended to be static. It should constantly be evolving, growing, moving with regular updates and lots of fresh content. Put your editorial calendar to work. What? You don’t have an editorial calendar? That needs to change – today. You can imbed a lot of your marketing infrastructure into your editorial calendar so that all you have to do is plug in the info and go. This will also allow you to look at larger chunks of your campaigns at one time while letting you plan ahead. Your team members are all on the same page and you can schedule out your activity days or weeks in advance. AirTable is an affordable, very useful editorial calendar tool, but Google Sheets is also good. Then again, there’s still the good, ole faithful Excel spreadsheet. Choose what works for you. Make your life easier with affordable (or even free!) marketing tools. There are so many sites out there that offer very useful tools that will make your repeatable marketing system hum right along. Here are a few tried and true favorites. HootSuite – Social media posting. Wistia – Everything video marketing. MailChimp – Newsletter creation and distribution tool. Moz – Free SEO tools. WriterAccess – Writers, social media specialists, content managers, and more. Once you’ve built a solid infrastructure, your repeatable marketing system will cruise right along. That does not mean you are supposed to leave it on auto pilot though. Remember, your business is growing and changing. Your target audience is growing and changing. So, if your marketing system remains the same, what do you think is going to happen? It all has to work together, grow together so keep reviewing what you’re doing, identifying what works, and making the adjustments you need to get the results you want. WriterAccess can manage all of your content needs, allowing you to get great marketing content without making the extensive time investment on your part. We’ll craft engaging, valuable blog posts, social media content that your followers will love, and a lot more. Contact us today and get your repeatable marketing system cranked into high gear.